A Survation poll on behalf of CLASS has found mixed feelings from the public on the issue of austerity. When asked to comment on the effects of austerity measures, 37 percent thought the government’s programme of spending cuts had been good for the economy, and 30 percent thought it had been bad. 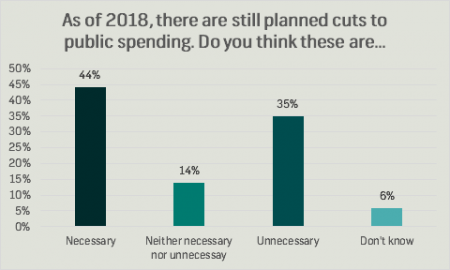 Respondents were similarly split on the question of whether cuts to spending since 2010 were motivated by ideology, with 33 percent thinking the cuts were pursued as part of an ideological project and 35 percent disagreeing. 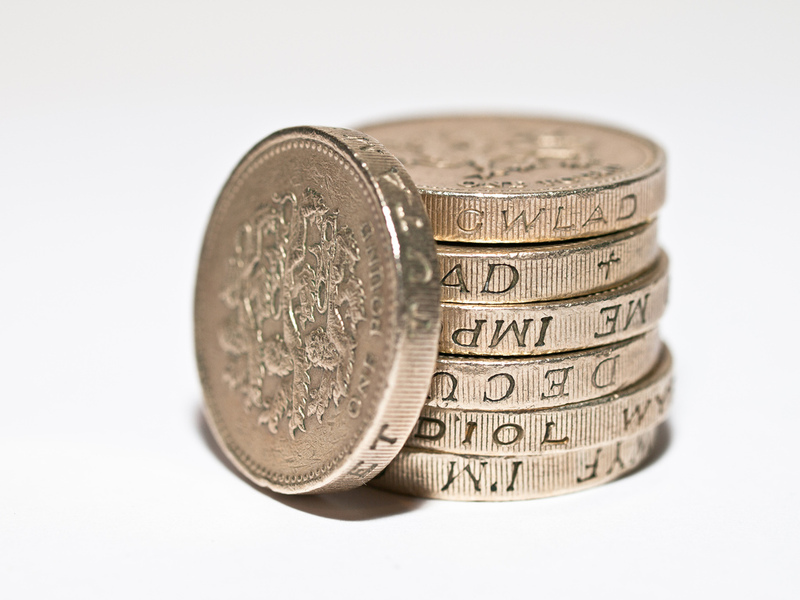 While a slim majority (51%) thought that the austerity programme had been necessary up to this point, there was less support for future reductions in public spending: 44 percent believed that further cuts were needed and 35 percent did not. Among those who took part in our survey, 68 percent agreed that it is important to understand how the economy works when deciding who to vote for in an election, and 61 percent answered affirmatively when asked whether it was important to understand the economy when making a personal financial decision. These findings seem particularly pertinent in light of the confusion some respondents had over key economic terms. 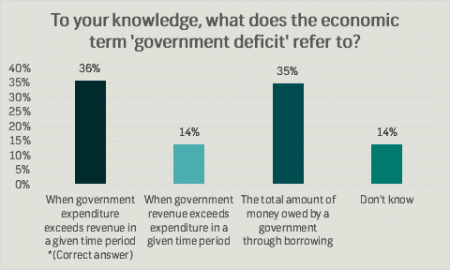 Almost two thirds of people (64%) did not know that the term ‘government deficit’ refers to government expenditure exceeding revenue, with many mistaking it with the concept of debt. On this point, our survey does provide some room for optimism, as almost seven in ten (69%) said they would be interested in learning more about economics. From the options provided, the BBC is the institution most trusted to tell the truth about the economy, with 72 percent having faith in the national broadcaster to report honestly. After that, 69 percent listed friends and family as a reliable source of information on economic issues. Along with the Sun newspaper (26%), social media recorded the lowest levels of public trust, with Twitter and Facebook scoring 24 percent and 23 percent respectively. Elsewhere, the Conservative party maintains an 11-point lead over Labour on the issue of perceived economic competence (35% to 24%).